The Village House El Cuetu I has been rehabilitated to offer the traveler the enjoyment of the traditional without sacrificing comfort. Located in the quiet village of Ortiguero, in a quiet and quiet area to enjoy some spectacular views of the Picos de Europa. The house is for full rental and has Capacity for 2 / 4 people. It has five double rooms with different decoration. • 3 full bathrooms and a toilet. • Fireplace and television in living room. • Heating and hot water. 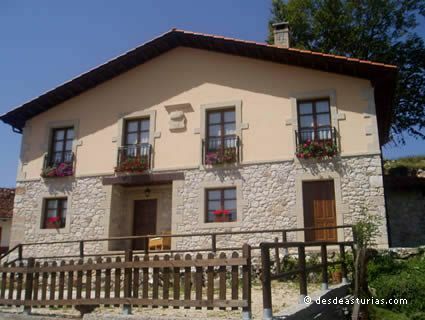 The situation of the house allows you to enjoy the mountain in the incomparable National Park of the Picos de Europa and the nearby beaches of Llanes, even on the same day.